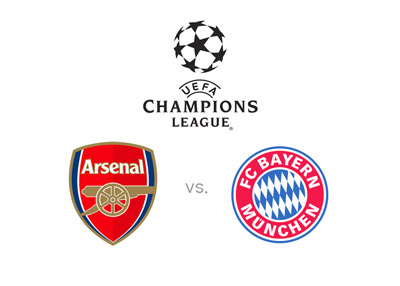 Arsenal host Bayern Munich in the third round of UEFA Champions League group stage on Tuesday, October 20th, 2015. This is a big game, especially for Arsenal, who lost their previous two matches to Dinamo Zagreb and Olympiakos. Arsenal have to get something out of the game with Bayern to stand a chance of qualifying to the knockout rounds of the competition. Bayern are coming into this game feeling comfortable, having beaten Dinamo and Olympiakos with ease, scoring 8 goals and conceding none. Bayern are such a powerhouse these days and are the firm favourites to beat Arsenal away in London. Robert Lewandowski (5/6) and Thomas Muller (13/10) are the favourites to score for the guests, while Olivier Giroud (7/4) and Theo Walcott (21/10) are most likely, according to the odds, to score for the home side. Arsenal have been in-form domestically this season and are a better team than their UCL results show so far. They are coming into the game on Tuesday having easily beaten Watford 0-3 away. Bayern have won all of their nine games so far in the Bundesliga. On the weekend they beat Werder Bremen away with the score of 0-1. 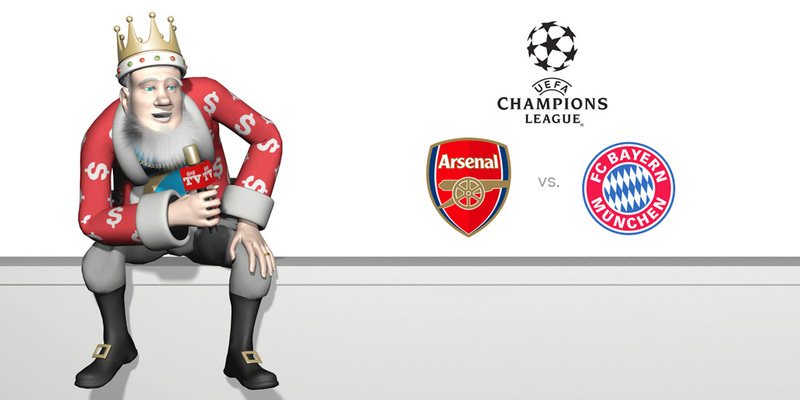 Arsenal vs. Bayern is definitely the match to watch on Tuesday. Will Arsene Wenger be able to come out with a result to keep his team alive in the tournament or will they, like every other team this season, get rolled over by the mighty Bayern machine? The current odds of Arsenal qualifying out of Group F are at 5/2.